It’s official: “retired” Detective Linden can’t seem to get off this ride. And neither can I. The Killing is certainly a slow-burn, but is no less consuming for its unhurried pace. I find myself craving more by mid-week because of the often stingy progress of any given episode, but I have yet to feel anything like frustration. Some of that is my own viewing patience, I suppose. But a lot of it has to do with the patient police tactics of Detective Sarah Linden and the patient storytelling practices that have made her perhaps my favorite woman to watch on television. Fractured cops are a mainstay of the police drama genre but Detective Linden is my vote for most interesting among them since Jimmy McNulty of The Wire. Her foster kid past and obliquely referenced psychological issues should have always felt a bit pat and yet the show’s subtly has allowed these traits–and therefore Linden herself–a surprising sense of particularity. 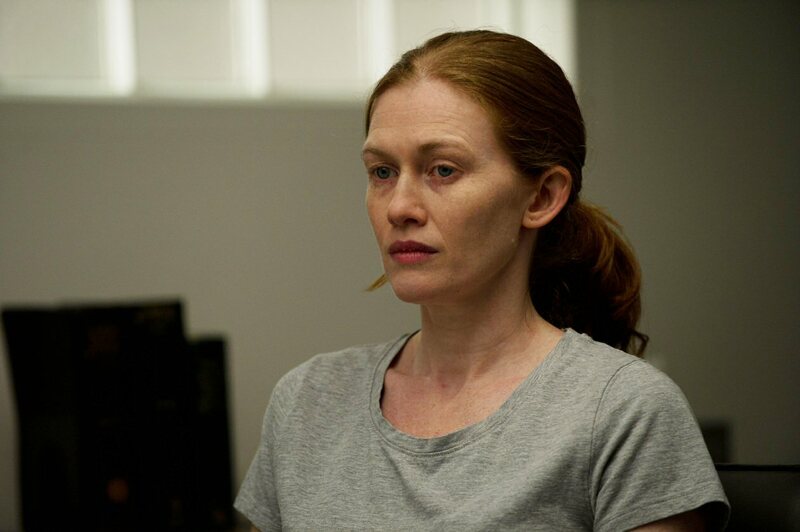 Mireille Enos’ has the unusual ability to play her character as both a kind of quiet, wounded bird and a tenacious, avenging angel. It’s one of several seeming contradictions of the character that the actress so well embodies with her genuinely attractive yet also refreshingly ordinary features. What seems to set Linden apart in her approach to solving a murder is how much her sense of intuition and her hours of investigation are shaped by her empathy. An empathy with her victims that fuels her success but only through her practically pathological inability to let the details of their lives and deaths go. The empathy that defines her professional life, however, is almost entirely absent in Linden’s everyday relationships, wherein thinking of others and keeping promises appear beyond her capacity despite her good intentions. Without affecting a tone of melodrama nor a woe-is-her sentimentality, the series has fleshed out a leading woman who is better able to keep commitments to the dead bodies for whom she seeks justice, than to her rather small handful of family and friends. Only her former partner, now de facto friend Detective Holder (an also wonderful to watch Joel Kinnaman) seems able to even keep track of her–physically or emotionally–with any consistently. Linden’s sense of professional purpose–or is it just compulsive behavior?–swallows her personal life and her best leads on personal happiness along with it. And yet it is her tenacity and insight that leaves hope for justice and hope for some re-humanizing of the often de-humanized victims of crime. 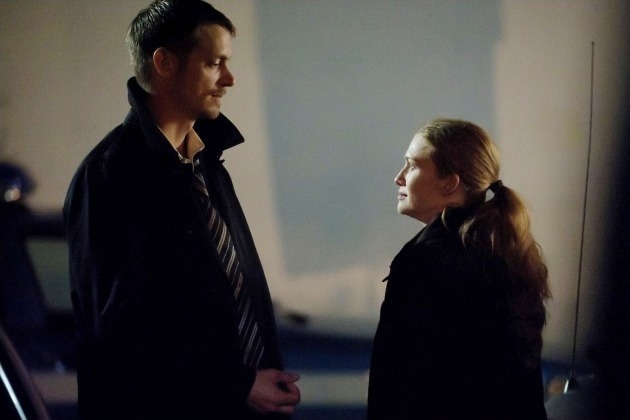 I’ve come to love the drip-drip-drip of details, false leads, and case-changing realizations that make watching The Killing unlike watching any other whodunnit currently on TV. But I also admire how the series uses Enos’ Linden to raise its unvoiced but no less steadily nagging questions about the line between personal calling and calamity, between doing what you love as a means to self-realization or to self-destruction. Previous Previous post: Can We Get Don Draper Off the Couch?